Samantha and Aunt Clara. 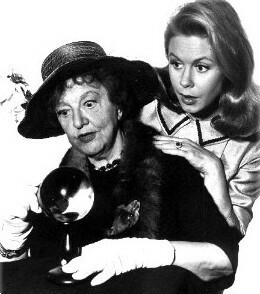 Elizabeth Montgomery with Marion Lorne.. Wallpaper and background images in the বেটিউইচ club tagged: elizabeth montgomery bewitched samantha stephens marion lorne aunt clara witch images. This বেটিউইচ photo might contain পশম কোট, পশম মণ্ডল, and পশম অ্যাকসেন্ট. Vintage ছবি Of The বেটিউইচ Set When It Burned Down! Have A বেটিউইচ Thanksgiving দিন From Endora!